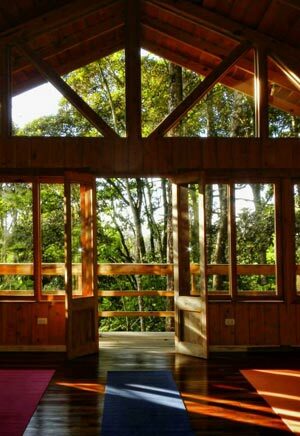 The La Colina Lodge is situated along the outskirts of Monteverde, one of the eco-tourism hotspots of Costa Rica. Set near the edge of the Monteverde Cloud Forest, this lodge is a pleasant, low-key hotel. Slightly removed from Santa Elena, the location of the hotel is perfect for those who want to spend some tranquil time close to the nature. Within walking distance of the hotel, you can visit some restaurants to enjoy delicious food and also can visit cafes and art galleries. The staff of the hotel are friendly, hospitable and ensure you experience a comfortable and memorable vacation here. The surrounding area is perfect for enjoying a variety of fun and adventure activities such as hiking through the lush forest, zip lining, enjoy watching different species of birds, visit a cheese factory, butterfly farms and many more. La Colina Lodge offers 2 types of rooms-some provides private bath and some have shared bath. All the bathrooms have hot water facility. Each of the rooms are very simple but include all the amenities and facilities that you will need to enjoy a comfortable stay. All the rooms are clean and equipped with single and double and bunk beds and can accommodate 2 to 4 people. With bright colors the walls are painted and the floors are wooden that make the guests experience pleasant feel. In some of the rooms you will find balcony to spend tranquil time and watching surrounding beauty. The lodge facility also include WiFi connection so that the guests can stay connected with the outer world. On the lower level of the lodge, you will find a common area with a lounge area including a cable TV and a large area for eating, hanging out and many more. People who want to do Yoga workouts while staying at La Colina Lodge, they can join the yoga class that range from power yoga to candlelight sessions in the evening. In this lodge you will find a spacious yoga studio where you can follow your personal workouts and at the same time can enjoy watching the natural beauty of the surrounding area. his studio is open to yoga teachers and others wishing to lead retreats. Strength training classes are also offered by the lodge several days a week. While staying at the La Colina Lodge, in your breakfast you can enjoy organic coffee. Breakfast is included with all room rentals except for the bunks. At the lodge cafe you can enjoy Latin fusion cuisine and some of the tastiest soups. You will have delicious vegetable dishes prepared with fresh and local vegetables. You can also enjoy yummy bread, yogurt and coffee. During lunch the cafe serves a selection of gourmet sandwiches, soups, salads and appetizers including locally made cheese and hummus. Friday night is special here and you will enjoy Thai food alongside live music. You can enjoy movie night accompanied by a delicious dinner on Tuesday.